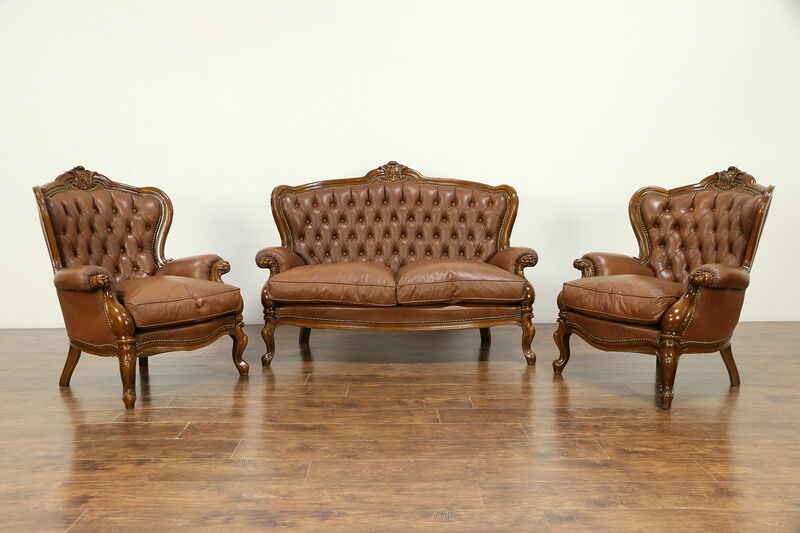 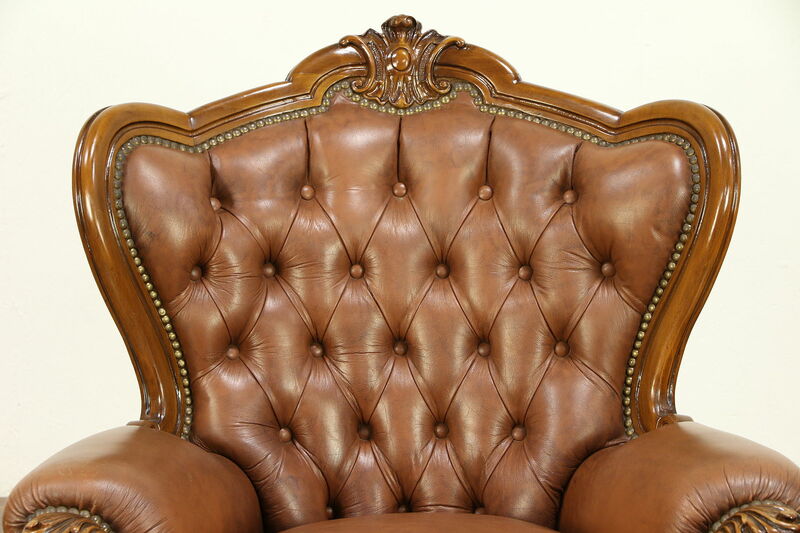 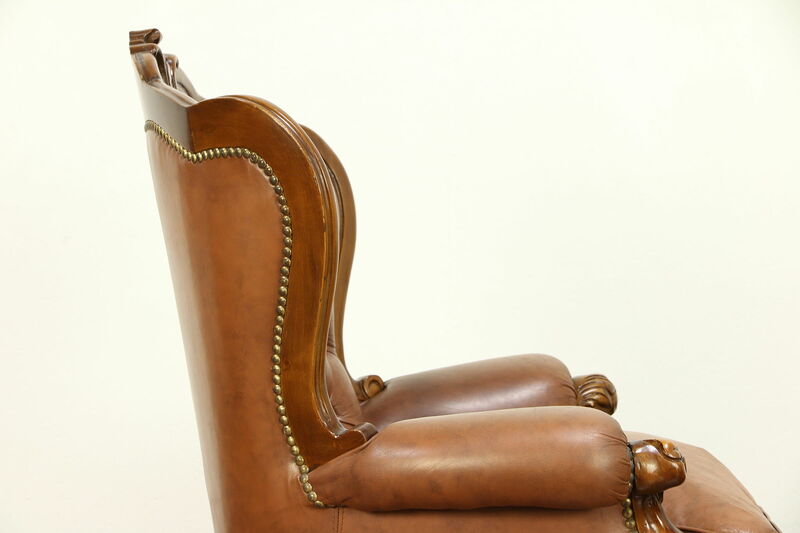 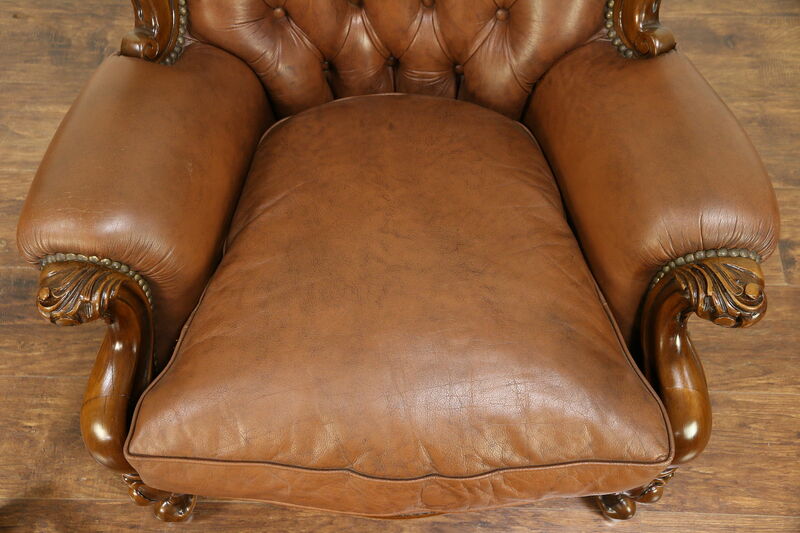 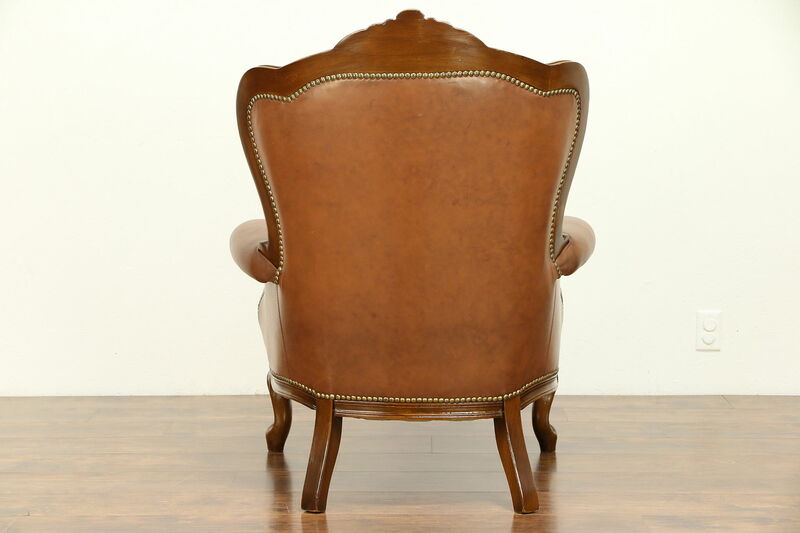 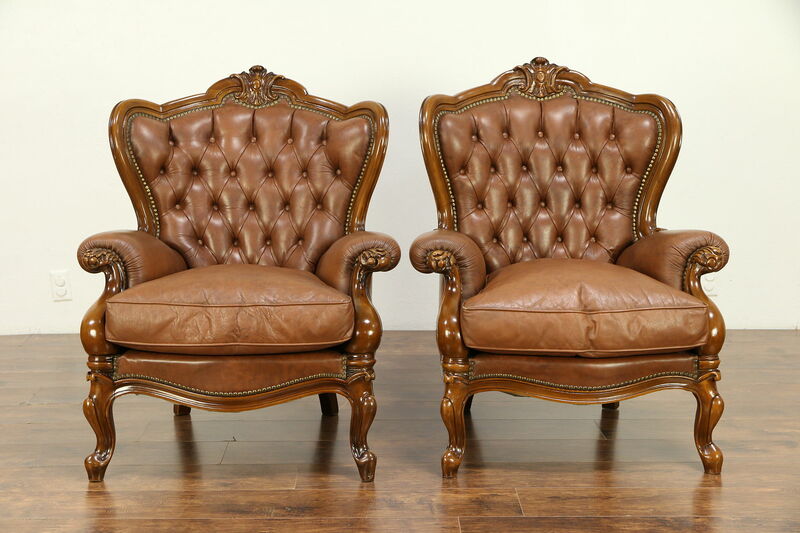 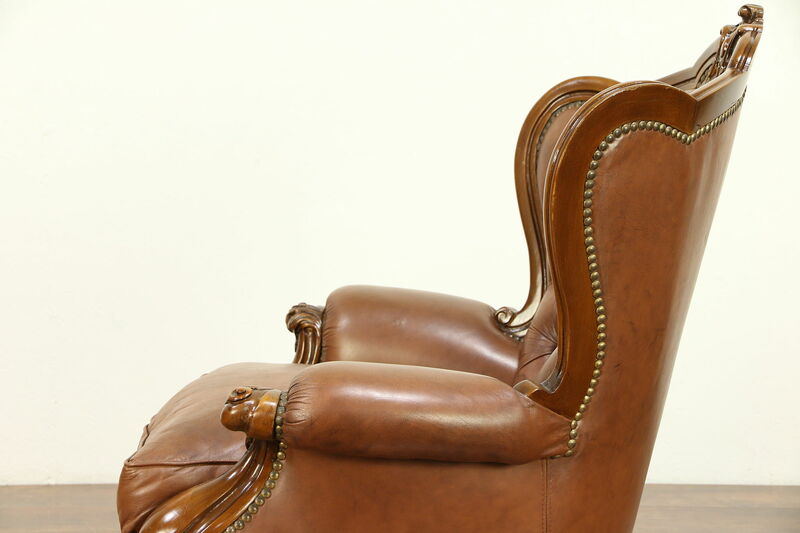 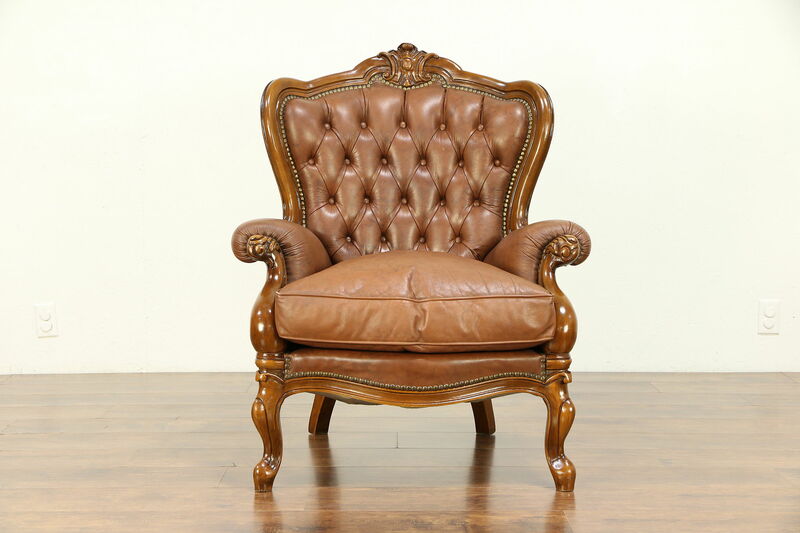 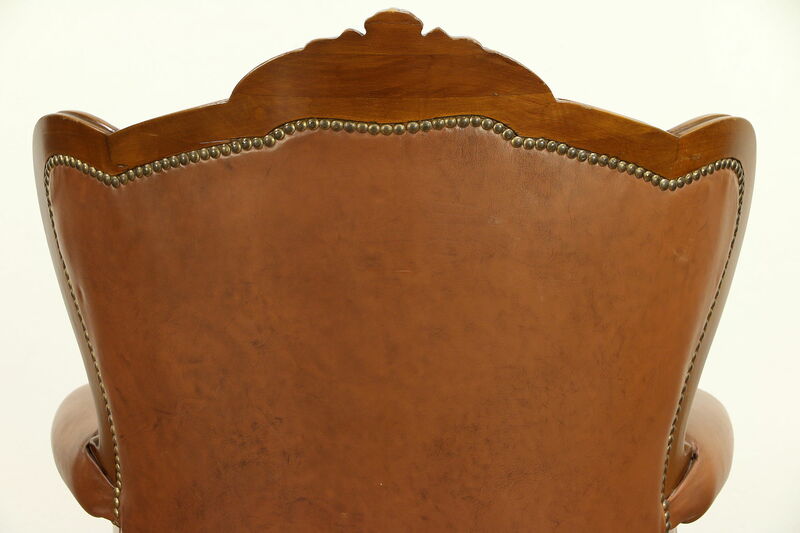 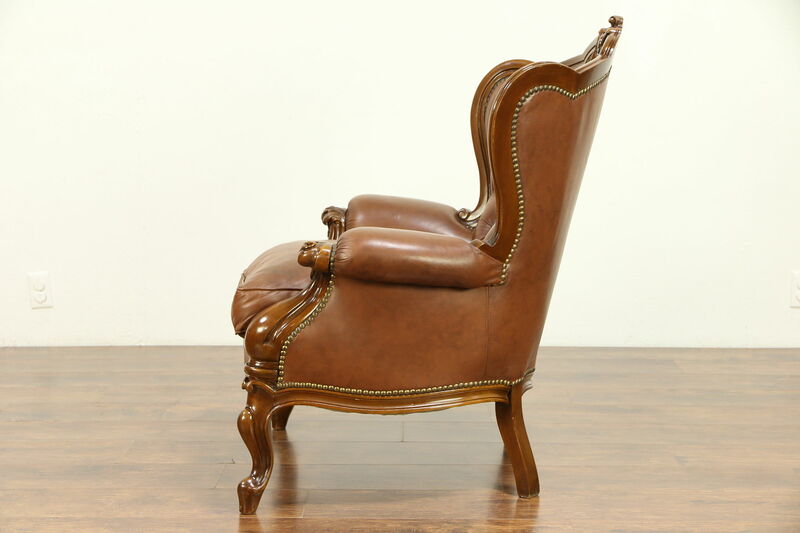 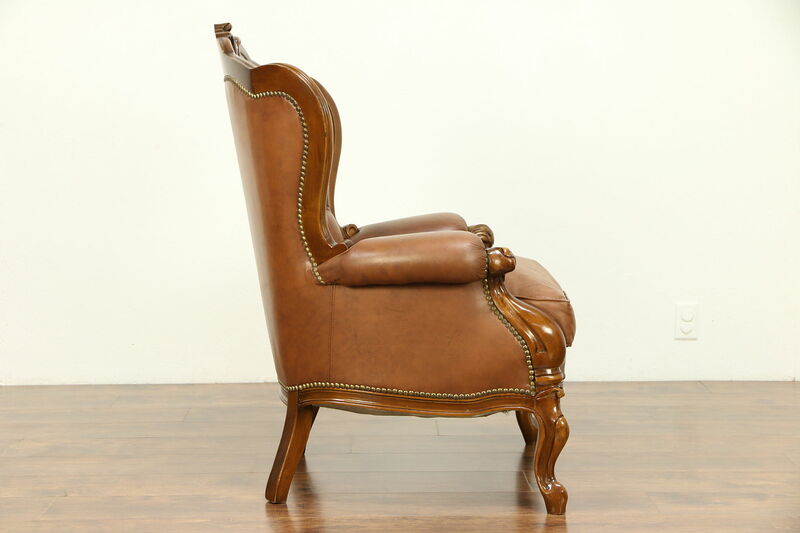 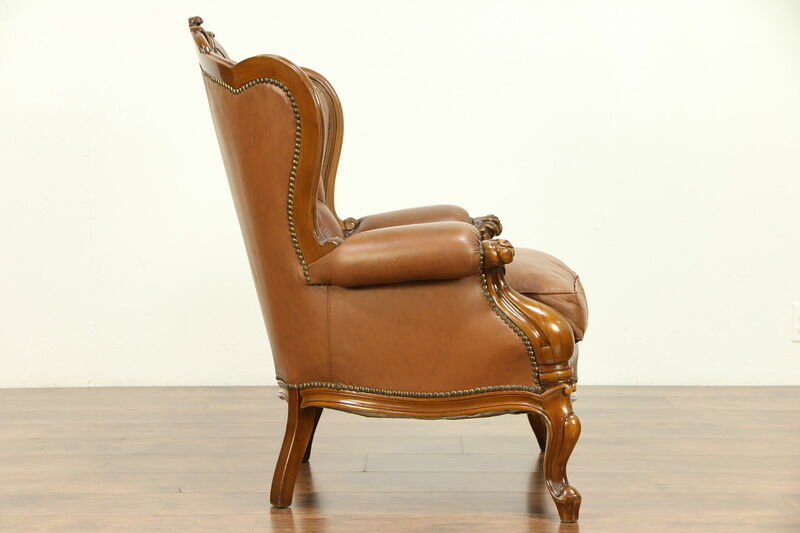 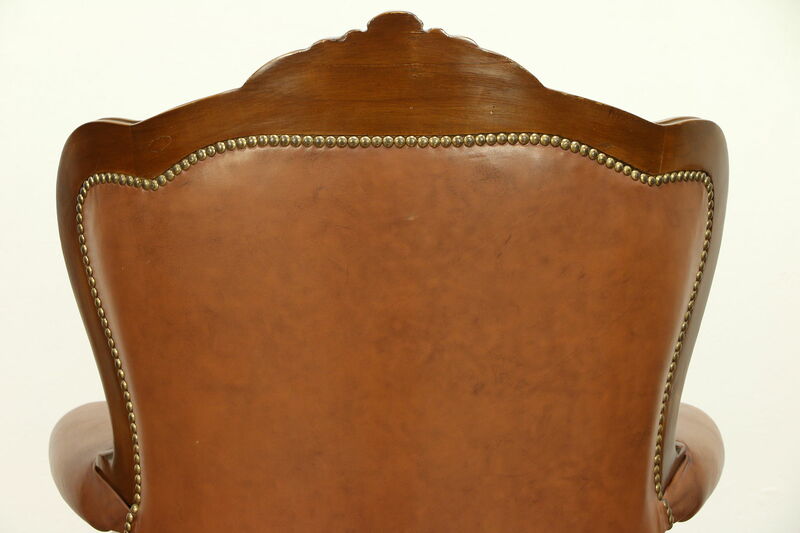 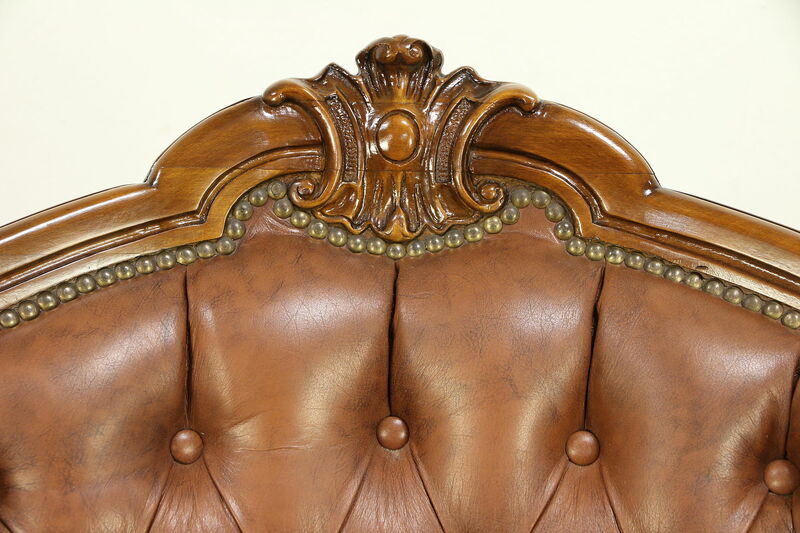 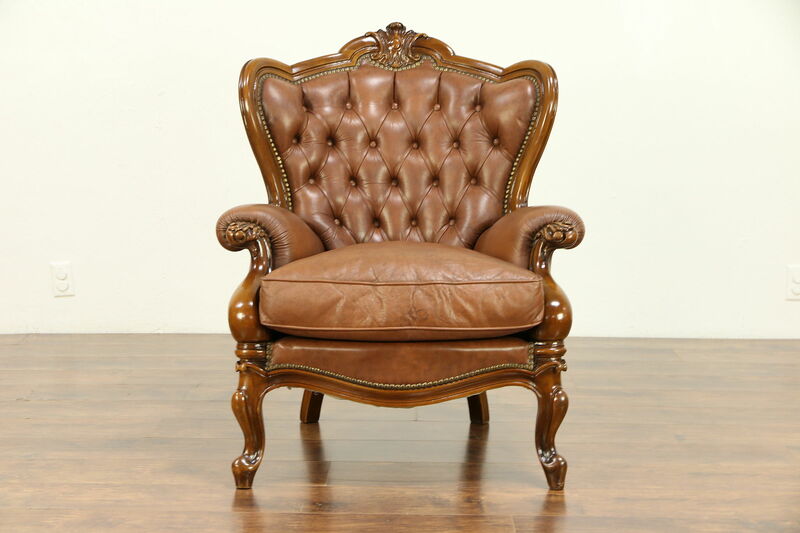 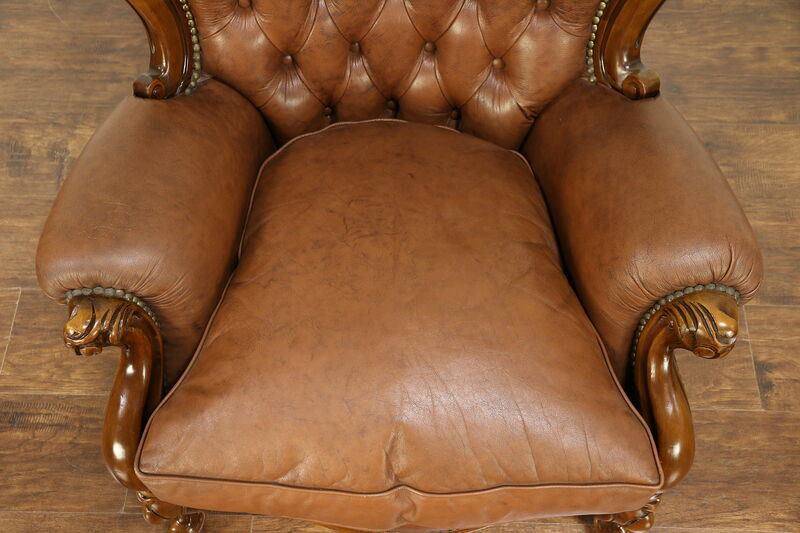 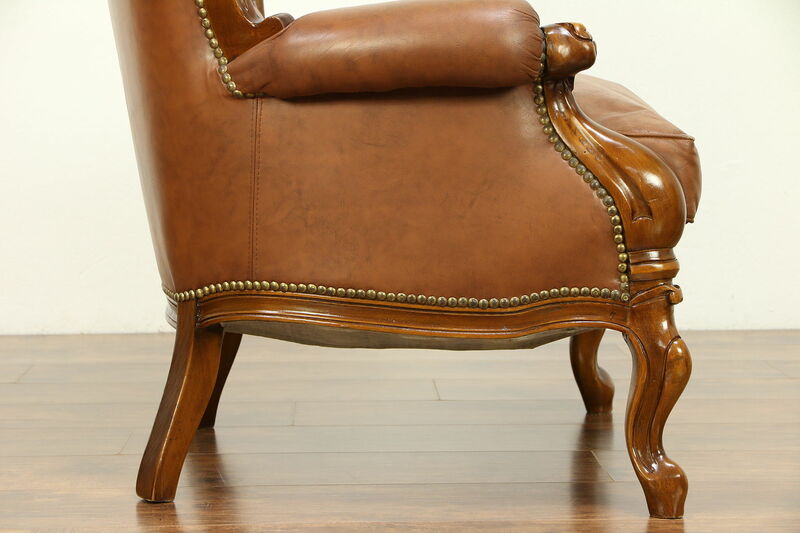 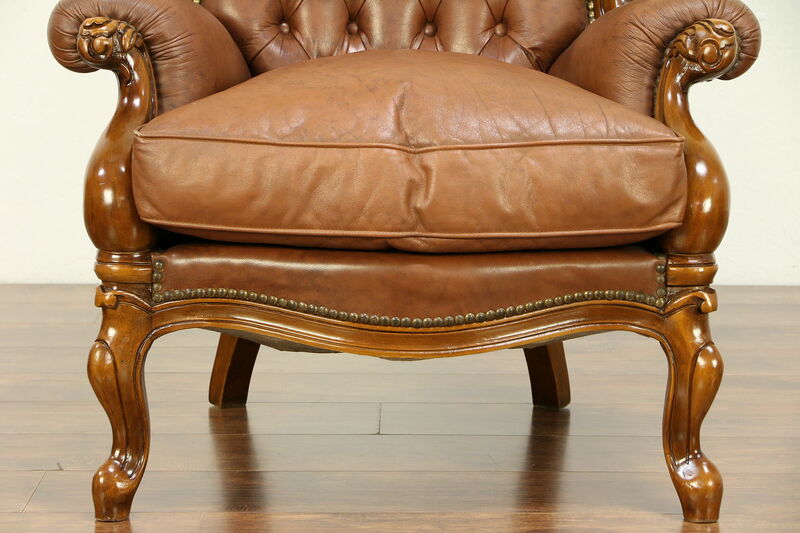 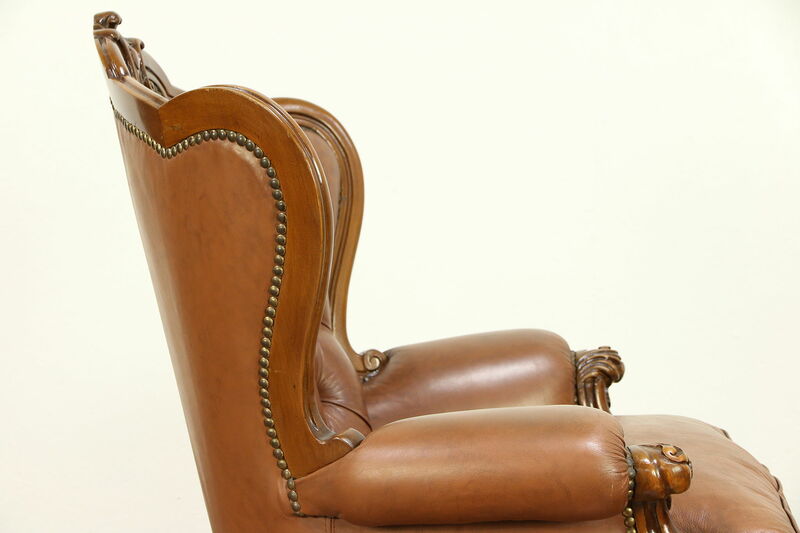 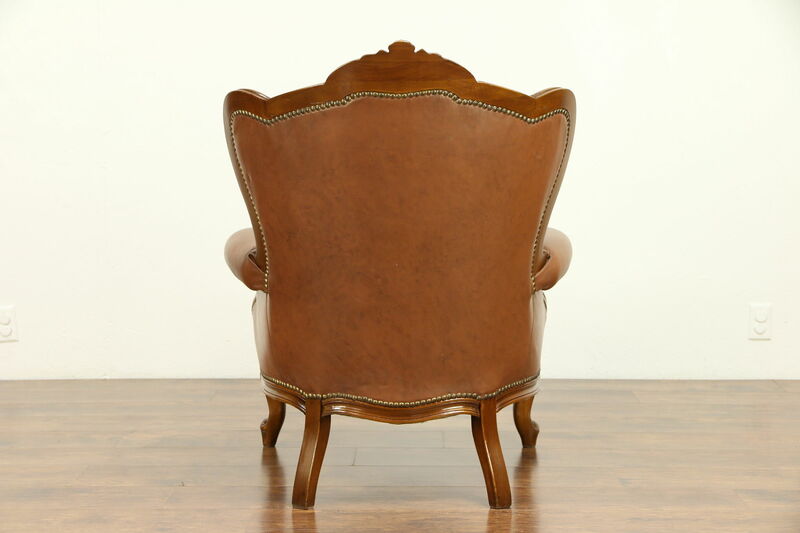 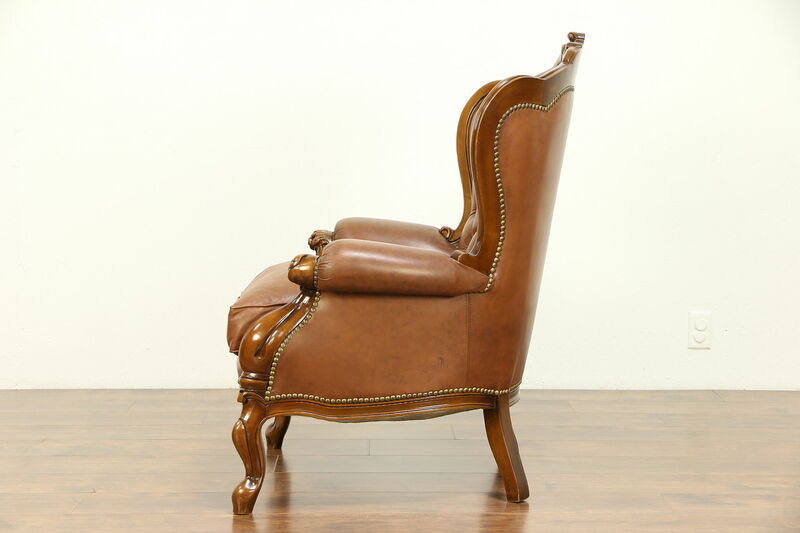 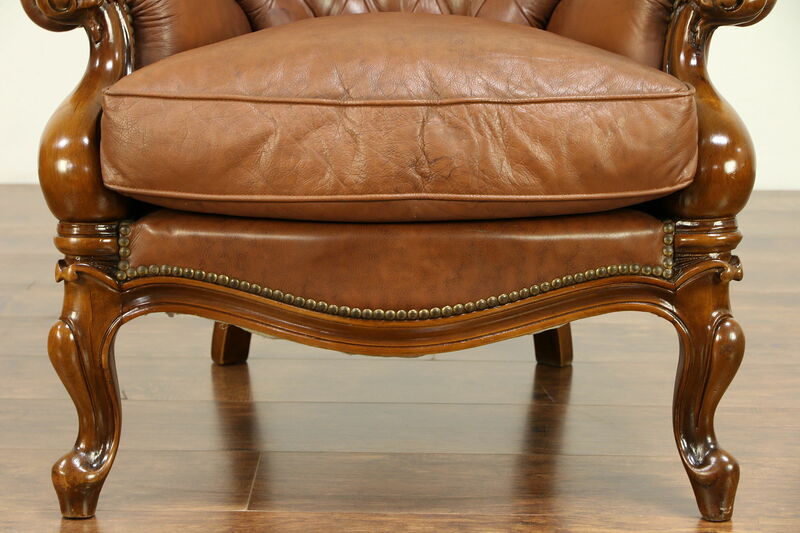 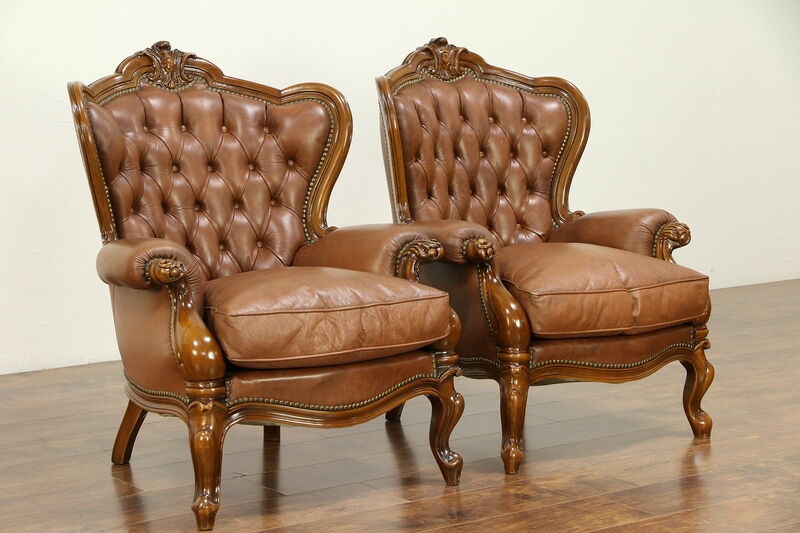 This Italian tufted leather pair of wingchairs has carved frames and soft zippered cushions, and is about 50 years old. 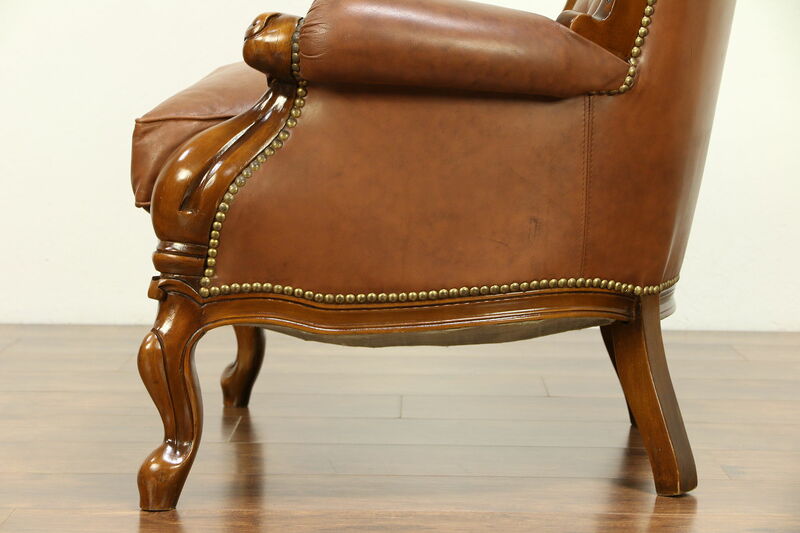 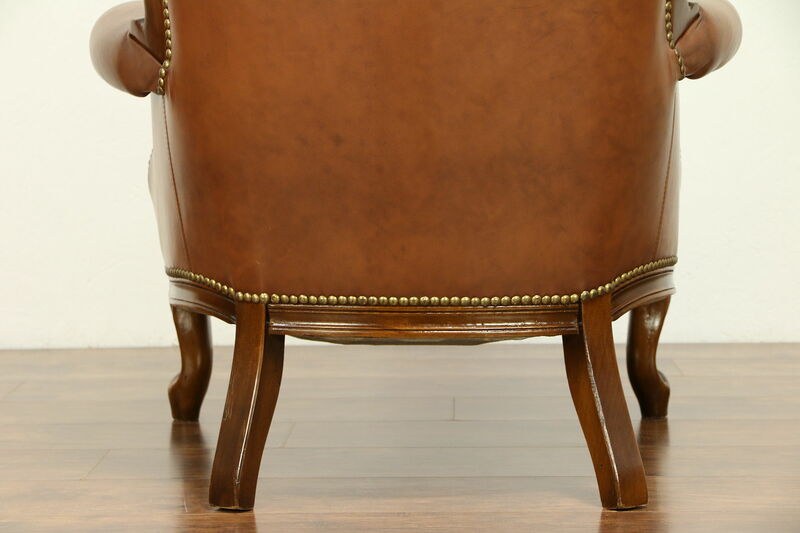 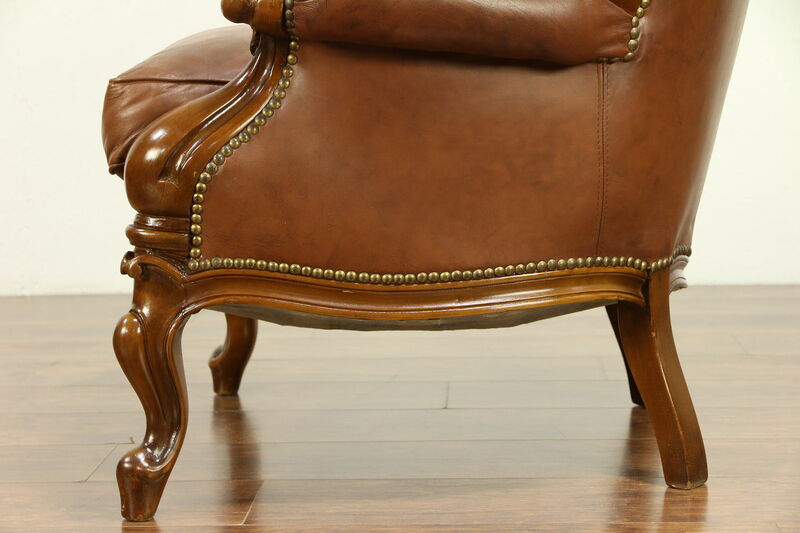 Buttery soft leather has very little wear and brass nailhead trim. 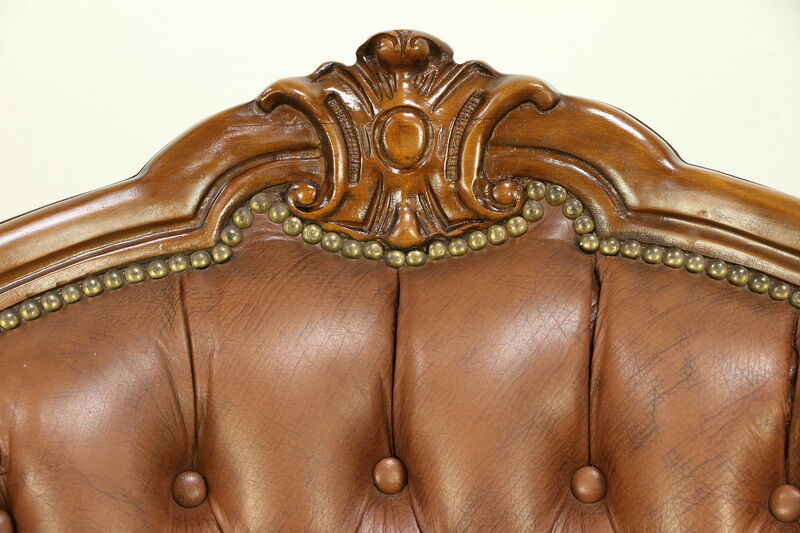 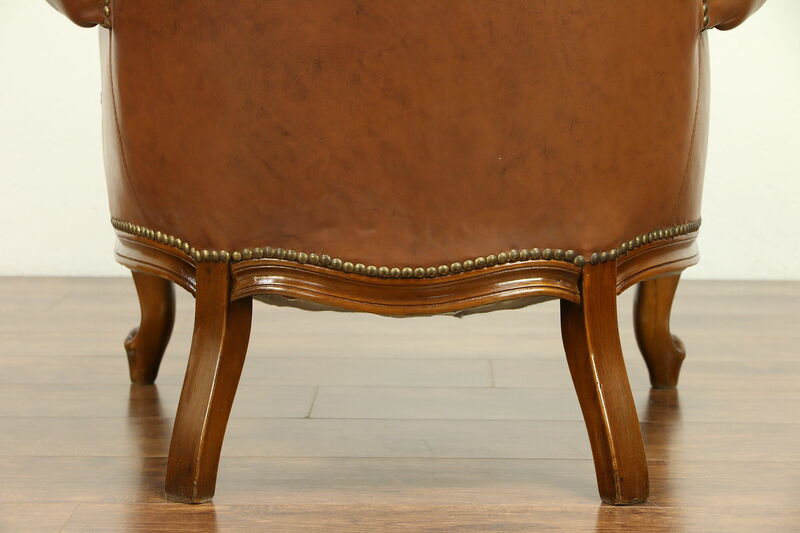 The hand carved maple frames have charming variations and are strong and tight on this vintage furniture. 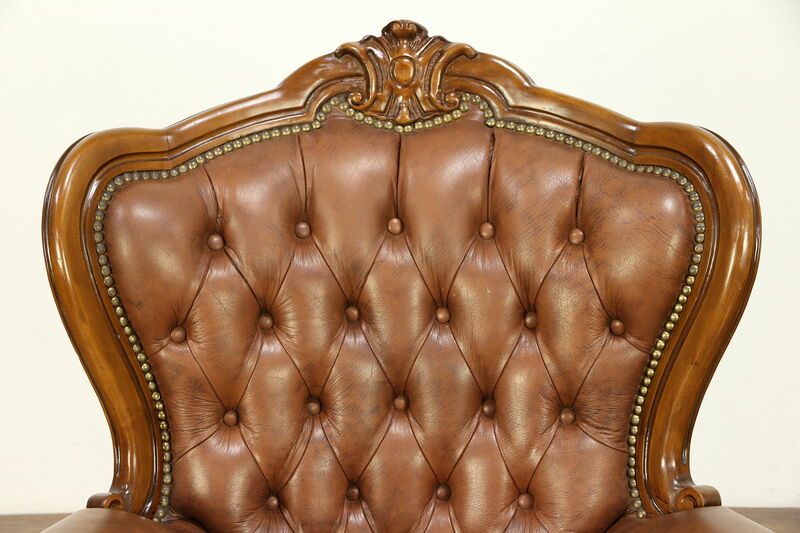 The original gleaming finish is in very fine condition. 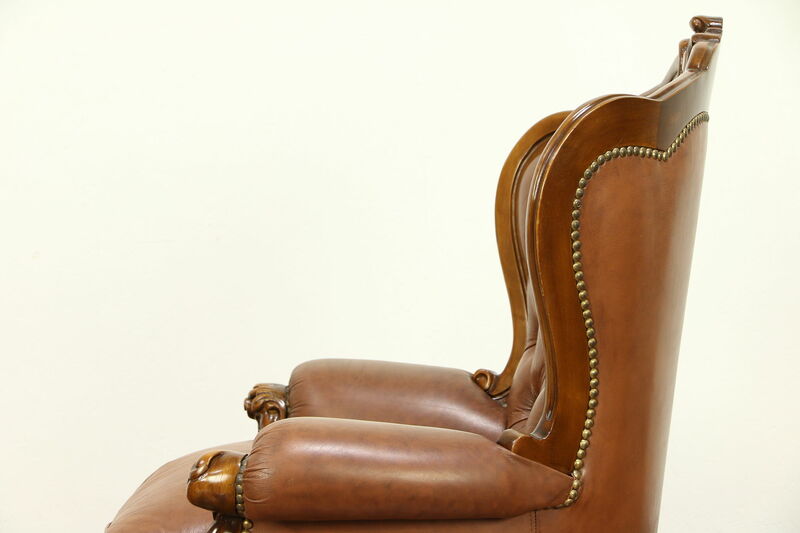 Size is 33" wide, 33" deep, 41" tall and the seats are 18" high.